Ok friends, if you read my post about the impossible task, you know I’ve been sitting on some of these reviews for a long time. This is definitely one of those. So forgive my out of season Christmas book review. 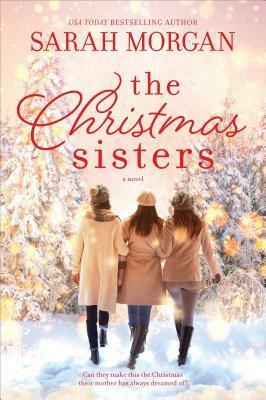 I read a few Christmas-y books in December this year, and of them, The Christmas Sisters was my favorite! It is such an adorable story about sisters and family and the struggles we all deal with. The three sisters in the story could not be more different. Hannah works constantly, leaving no time for a personal life. Her mother longs for her to settle down and start a family, but Hannah couldn’t be bothered. Beth is married and is a stay-at-home mom to two little girls. She looks like she has it all together on the outside, but secretly she wants to return to working full time. Finally, Posy, the youngest sister is the care-free adventurer. Their family has a tradition of getting together on Christmas as it is a very important holiday to their mother, Suzanne. Hannah missed last Christmas, so this year is going to be extra special. The girls aren’t nearly as close as they used to be, but everything comes out and to a head when they gather in their childhood home in Scotland for the holiday. I really enjoyed this book. It had the cozy feeling of a holiday book, but also dealt with real life issues and managed to be adorable without being over the top. If you’re looking for a holiday read, definitely add this one to your list! Thank you so much to Harlequin Publicity Team for sending along a copy of this book!